Antonio Vivaldi’s Tito Manlio was performed at Mantua, in the winter of 1719, as the second opera of the carnival season presided over by the governor of the city on behalf of the Habsburgs, Philip of Hesse-Darmstadt. For this occasion, Vivaldi dusted off an old libretto by Matteo Noris centred on an episode in Roman history as related by the Paduan historian Titus Livius. Vivaldi’s setting is conceived as a sumptuous nuptial homage, since the opera was planned to form part of the celebrations organized for the occasion of the marriage of landgrave Philip to princess Eleonora Gonzaga of Guastalla, announced only a few weeks before the opening night. The extended essay introducing the critical edition reconstructs, with the inclusion of hitherto unpublished archival documents, the economic, ideological and theatrical context relating to Mantua. The methodological stance is based on the concept of “opera as a social phenomenon” proposed by the American literary scholar Jerome McGann, according to whom every artefact belongs to a complex system of production and consumption, which has the power to influence the moment both of creation and, more specifically, of reception. 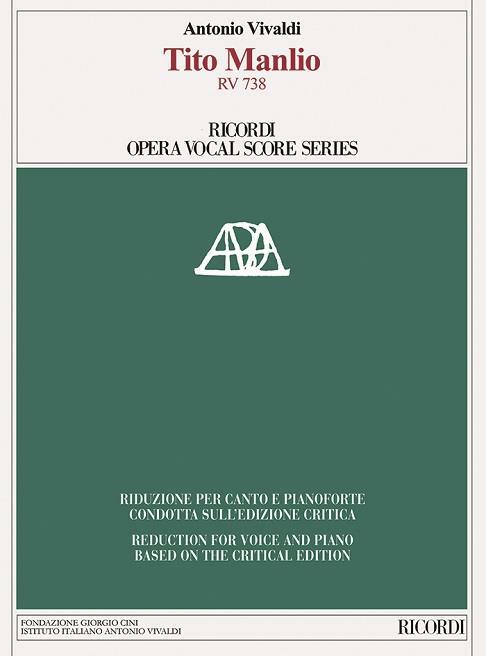 The present reduction for voice and piano, prepared by Antonio Frige, is based on the critical edition of the score prepared by Alessandro Borin.